Corporate Magician Incorporate a quirky element in your upcoming corporate event by opting for the comedy cabaret act or close up magic of Magic OZ, mesmerizing, creative and original Guaranteed. You can combine both the magical services of OZ by using close up magic and finish with a small comedy show. Magic OZ an experienced and renowned top class corporate magician who also offers his services as a garden party magician and wedding close up magician has designed his corporate comedy cabaret shows in such a way that it is ideal to break the ice and with a small comedy show added which covers all who attend, your clients or special guests. 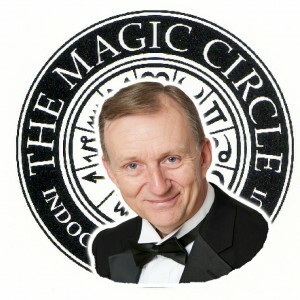 Magic OZ performs magic that will defy logic and leave the audience spellbound. He is experience with natural talent in Sleight of Hand and simply great close up magic so is ideal for an evening that the audience will never forget with a comedy show at the end. Magic OZ will make your corporate Comedy cabaret shows the best cabaret shows possible, corporate shows are usually formal but not with Magic OZ. In most cases, Magic OZ’s approach in performing at these shows is simple-he uses a fun, humour with comedy and great magic to create the grandeur effect that will be remembered for a long time after.